Morning Skincare Routine | Miss Monique D.
So i woke up this morning really wide awake and keen to start the day. Possibly because its such an amazing day outside! One of the most important things i do when i wake up is my skincare routine. I find that on the days i get lazy my skin hates me for it and breaks out big time. So for starters my skin type jumps from one extreme to the next as seasons change. Im spring/summer i usually have really oily acne prone skin with small dry patches on my nose, whereas in autumn/winter my skin turns really super dry all over while still being acne prone. I started using this morning skincare routine about a month (and a bit) ago and feel that my skin has been the best it's ever been. I attribute my renewed skin to both my morning and nighttime routine combined (i will post a nighttime routine a little later) and feel that i have finally found something that works amazingly for my own skin. When i wake up in the morning i usually doordle around for a little before i wash my face with my Clarisonic and Mario Badescu Enzyme Cleansing Gel. The Clarisonic, if you haven't already heard about it, is a 'sonic skin cleansing system' that is supposed to be 2 times more effective at cleaning skin than manual cleansing and 6 times more effective at makeup removal. I received my Clarisonic as a christmas gift last year and have been using it everyday twice a day since then. I absolutely looooove this machine, even if it did take me about 4 months before i really figured out how to use it properly for my own skin type. Originally when i received it i was washing my face (Clarisonicing? 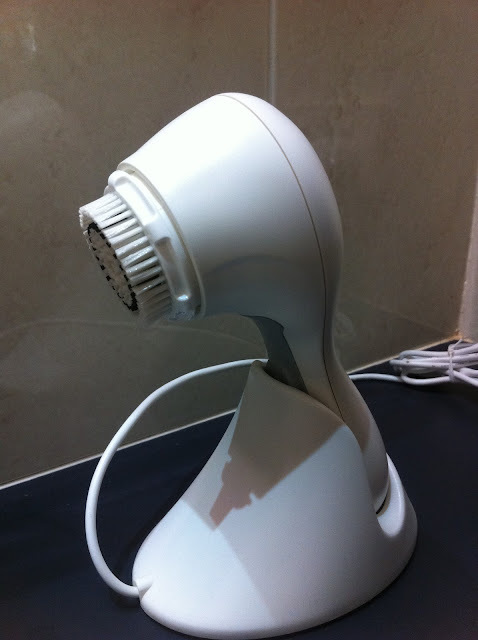 lol) for 2-4 mins twice a day with an exfoliating wash (i was pretty addicted to my Clarisonic!) which resulted in my skin being really ridiculously clean but breaking out often. I read about the Clarisonics 'purging phase' which involved your skin clearing all the underlying imperfections over a 2-3 week span before it got clearer... basically your skin was supposed to get worse before it got better. I don't really believe my skin went through a 'purging phase'... more like i was over exfoliating my skin to the point where it broke out heaps. After about 3 months of using it and breaking out pretty regularly i realised what the problem was and cut back to cleansing for only 2mins twice a day, then eventually about a month ago i cut back to 1min twice a day which now works a treat for my skin. In the morning i use my Clarisonic with my Mario Badescu Enzyme Cleansing Gel which is AMAZING! 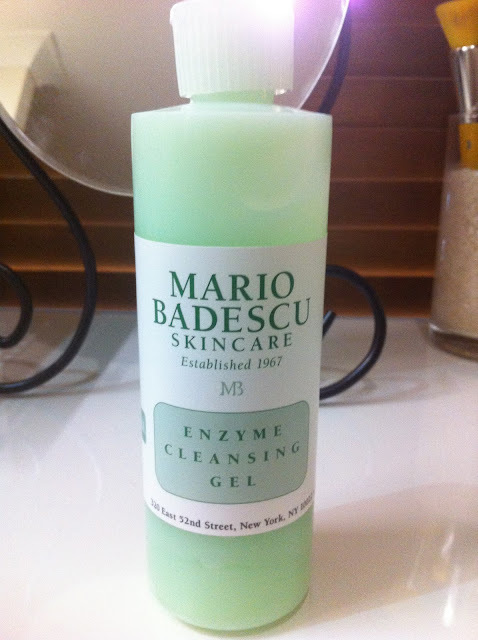 The Mario Badescu Enzyme Cleansing Gel uses Alpha Hydroxy Acid (AHA) from Papaya Extract to 'promote exfoliation and prevent pore-clogging buildup' as well as rejuvenating dull skin. I purchased this wash just over a month ago from the brisbane mecca maxima store for $18.95. I was used to using supermarket brand face washes and had never had any success with them so i thought $18.95 for a higher end skin care brand was very affordable and well worth the try. The gel itself is non-foaming and smells so so so yummy, hard to pick but maybe a mix between some sort of fruit (guessing papaya because thats part of the ingredient) and something very clean...? Upon closer inspection of the gel it has a slight green luminescent shimmer to it which is really appealing to me because it makes me think its making my skin more luminous every time i wash my face with it. 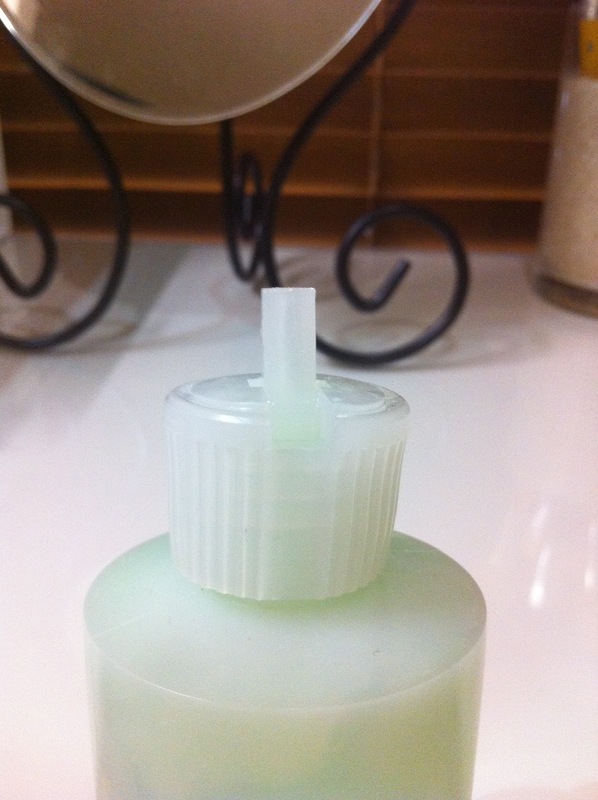 I also like the little flip top lid on the bottle because its delivers just the right amount of gel at one time and there is no time consuming screwing on and off. Just beware not to get the gel in your eyes as it stings like almighty hell! 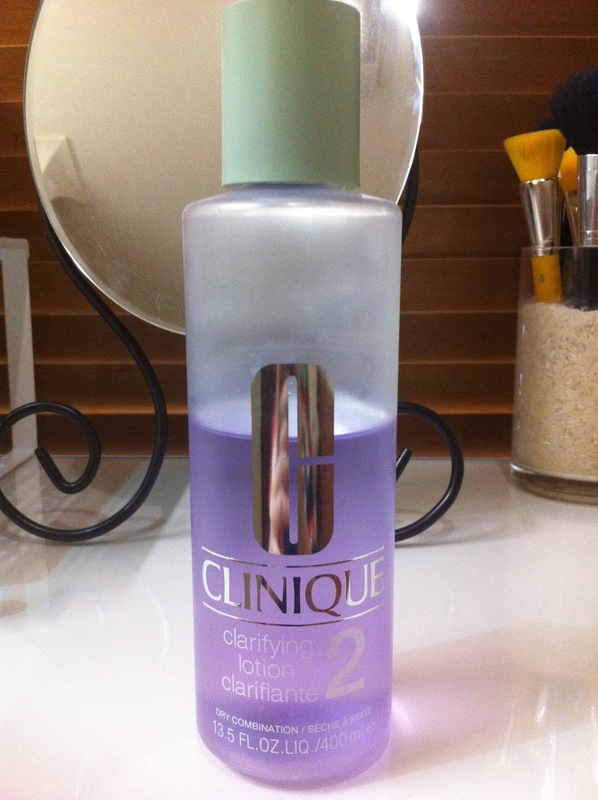 Finally my routine ends with the Clinique Clarifying Lotion 2 for Dry Combination skin, the Clinique Dramatically Different Moisturising Lotion and the Clinique All About Eyes. 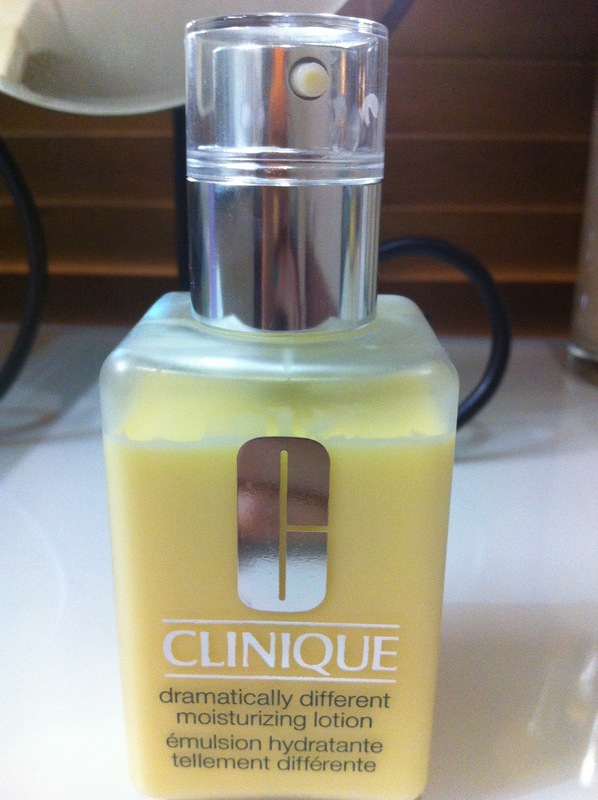 The Clinique Dramatically Different Moisturising Lotion was has been the only day moisturiser i have used and loved for the last 3 years. I like to try out new day moisturisers but always come back to this one as it seems to suit my skin the best. This moisturiser is Step 3 in the Clinique Skin care regime. It's a 100% fragrance free Lotion that is used for Very dry to dry combination skin. I know that there is also a gel formula available for oily skin types but i find this still works well for me in Spring/Summer when my skin gets oilier than normal. I was always under the impression that this was an oil free moisturiser but i just reading the bottle now i can't find anything the suggests it is. Either way it doesn't cause me to breakout which is always really great. I like to slather this all over my face after toning and let it sink in for a good 5 mins before applying primer/makeup although if i'm running late or don't have much time i just apply a thin layer which doesn't take long to sink in. The bottle pictured above is also my second bottle of this particular moisturiser. Finally i have recently become more aware of eye care so i got my mum to pick this eye cream up, the Clinique All About Eyes, on a cruise a few months back. 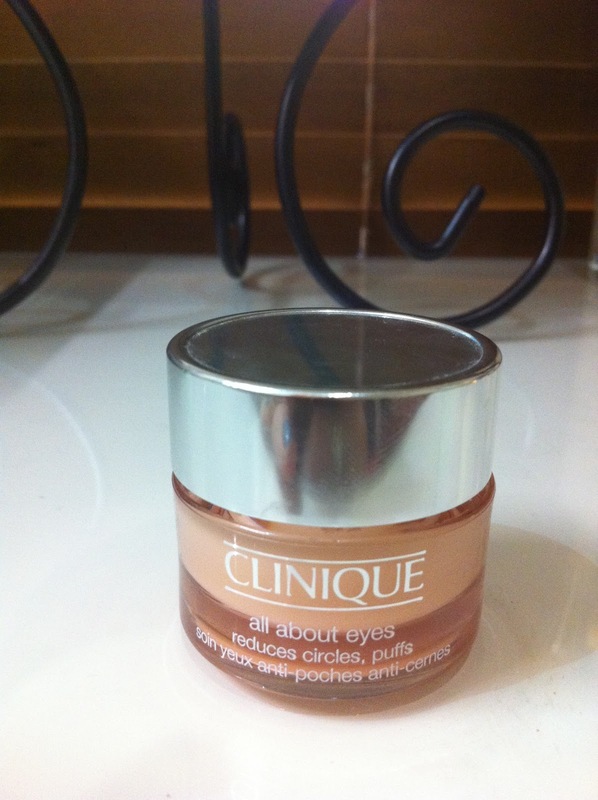 It has been the only eye cream i have really tried so i don't have much to compare it to. This is a 100% fragrance free, Ophthalmologist tested cream that is used to 'Diminish the look of Circles, Shadows, Puffs and Lines'. I dab some of this under my eyes while my moisturiser is sinking in and let it sink is as well. It has a very light consistency and a little goes a very long way. Sometimes i forget, slather is on and it takes FOREVER to sink in. Although i assume Ophthalmologist tested means it's alright if it gets in your eyes, i would still try avoid this as much as possible. I find that sometimes when i get this in my eyes by accident it stings and SOMETIMES only sometimes causes my eyes to puff a little. Sort of like an allergic reaction?... Aside from this i still use it and find that it moisturises my under eyes really well and has possibly even helped with some of my fine lines. When i use this up i'm considering trying out the Mario Badescu Hyaluronic Eye cream or their Dermonectin Eye Cream.